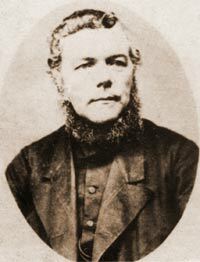 Captain John Williams a native of Porthdinllaen, had been Master of the 130ton schooner Mary Watkins since she was built in 1850. But like so many Mariners from the north coast of Llyn, in 1857 aged 36, he became managing owner of his first vessel, the same Mary Watkins. And this would indirectly become the foundation stone for one of the biggest shipping companies owned by a Llyn family. He continued to command his vessel, along with his crew of eight local men, and sailed her to many different places, from the West Indies, Black Sea, and to Brazil and other exotic destinations. Capt Williams and his wife Mary (she was the daughter of Plasymhenllech) had three sons, Owen, born in 1862, Robert 1863, and Watkin in 1864, and during this time the family moved to live to ‘Tyncoed’ in the next village Edern. Ship owning must have got into his blood, (or the healthy profit he was enjoying) because by 1871, the 205ton Brig “Sharp” had joined the fleet, only to be lost in less than a year. 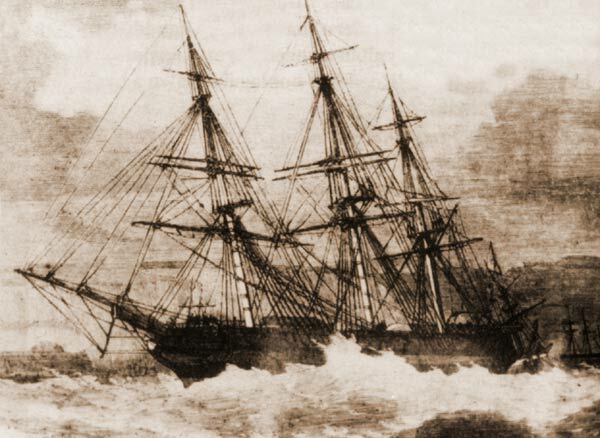 But this didn’t deter him, and in 1872, he acquired the 554ton barque “Lauretta” which cost £4,250, but he sold the Mary Watkins in 1873, and then in 1875 he bought the even bigger 1296ton ship “Amoor”, which cost a staggering £7,750. By now Capt Williams had left the sea, and was looking after his shipping interests full time, which he continued to do so until he retired in 1887 aged 66, when he sold his two remaining vessels. His youngest son Watkin, had been drawn to the sea as well, and had served on his fathers ship “Amoor” and by the late 1880s he was First Mate on the 1451ton steamer “Jenny Otto” owned by G. Otto of London, and trading mostly to the Mediterranean. Owen his oldest brother was working as a clerk in a Cardiff shipping company, but his father’s business ventures interested him, and his first flurry into ship owning came in the shape of shares in the barque “Caroline Spooner” in 1889 which he bought from the Rev John Morgan, who was rector of Edern church at the time. 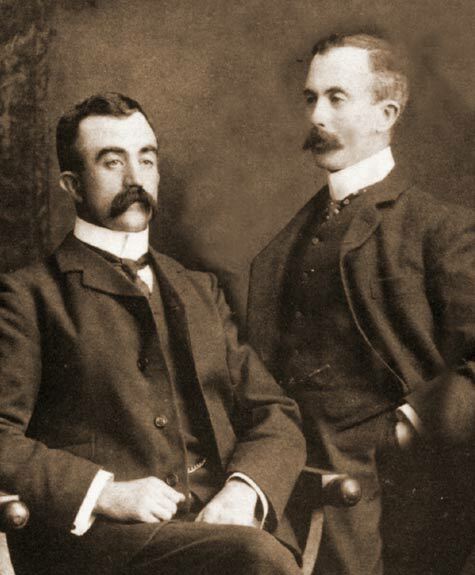 And his brother Watkin soon followed, by buying shares with him in the 2404ton steamer “Hesperides” in the early 1890s, this would become the start of a partnership that would last thirty five years, and they would become owners of over 20 steam and motor vessels of up to 6900 gross tons. From 1900 and up to the great war of 1914 - 1918, Cardiff became the coal capital of the world, in 1906 alone over seven million tons of the stuff was exported to the four corners of the globe, and by 1913 this had raised to over 10 million. The two brothers from Edern, were well placed to take advantage of the rich pickings to be had, their “Golden Cross Line” became a household name throughout Wales. But on Llyn they were affectionately known as “Llongau Pwllparc”, for the family had moved there from Tyncoed in the late 1870s, and many Llyn and especially Edern seamen sailed on them. The great war decimated their fleet, with seven ships lost. And when they dabbled in motor vessels instead of steam in the early 1920s things took a definite turn for the worse, and by 1930, the company folded with debts running into many thousands of pounds. But the sheer guts of these two brothers, has got to be admired, and Pwllparc ships quite rightly will always be remembered on the Llyn, as one of the greatest chapters in our maritime history. 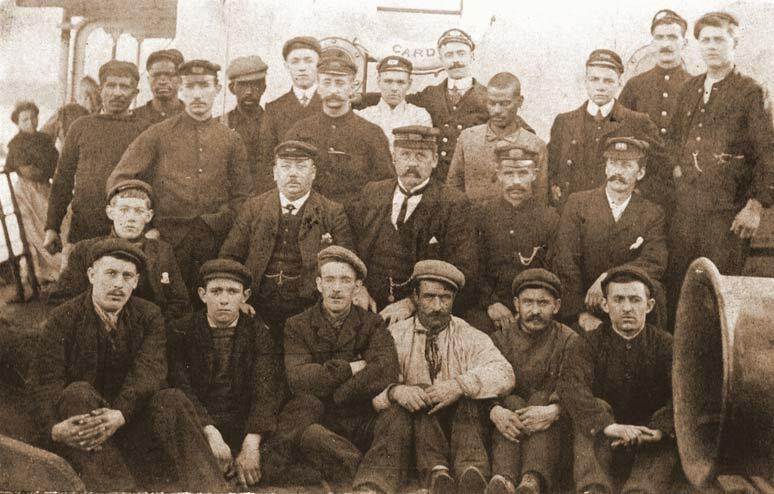 "Capt Evan Williams, Pwllheli, with the crew of the Arvonian 1906"
Listed below are just some of the men from Llyn, that sailed with the Golden Cross fleet. Thanks to Mr T Morris, for clear helm orders and sending us on the right course. There is an excellent book, The Golden Cross Line, by David Jenkins, and published by the World Ship Society which gives a very full and detailed account of these great men, and their ships.